About SGTUEE: Shree Guru Gobind Singh Tricentenary University Entrance Exam (SGTUEE) is a University Level Entrance Exam conducted by Shree Guru Gobind Singh Tricentenary (SGT) University for admission into various UG/ PG courses. About SGT: Shree Guru Gobind Singh Tricentenary University is located in Gurugram, Delhi-NCR offers various UG and PG programme admissions through their entrance exams. Conducting Body: Shree Guru Gobind Singh Tricentenary University (SGT) Gurugram, Delhi-NCR is the conducting body of SGTUEE every year. Level: SGTUEE is the University Level Entrance Exam conducted every year. Exam Date: The conducting body scheduled the exam to be held on May 2019, You can choose your exam date and time as per your convenience from 1st May 2019 to 31st May 2019. Courses Offered: SGT offers many UG and PG courses admission through SGTUEE 2019. Registration: You can visit the Official website and register online as a new user on 16th January 2019 up to 30th June 2019. Exam Dates: You can take the exam as per your convenience from 1st May 2019 up to 31st May 2019, whereas the slots will be allotted based on the availability. Results: After the successful completion of the exam the conducting authority announces the results through the Official website only, You can check your results through the official website on 15th June 2019. Counselling: Once the results are announced the merit list students will have to undergo for Counselling Process, which is expected to be held from 10th June 2019. You must have passed/ be appearing in class XII from CBSE or a recognized board. You must also ensure the eligibility condition laid down by the university and respective recognized body of that course. Nationality: Candidates from anywhere in can country can apply for SGTUEE whereas you will have to qualify the minimum eligibility Criteria. If you a candidate who is Non-Residence of India, you can apply for the exam where you will have to meet the minimum eligibility criteria. Registration: The Application was available on the official website on 16th January 2019 till 30th June 2019. You will have to follow the following steps to complete the Registration Process. You need to login to the official website as a new user. To sign in as a new user, You will have to have a valid email ID. Once the login is successfully created, you can log in and access the registration form. STEP 2: Slot Booking: Once you fill the registration form, it is expected to upload a valid (Adhar Card, Passport) photo ID along with Class X Mark sheet. You will be given the choice to book your slot to appear in the SGTUEE. you can select time and date as per your convenience. However, the slot will be granted only on the basis of availability. SGTUEE is a scholastic aptitude test of high school level conducted in online mode. You will be able to check your results on the official website only. The merit of the entrance exam for each course will be based on SGTUEE (75%)+ Personal Interview (25%). As the University will be admitting through an entrance exam for the first time, you will be allowed to take two attempts in the SGTUEE and whichever is the best in those two attempts will be considered. The University will not charge any extra fee for the second attempt. SGTUEE 2019 will be conducted by SGT University. The SGTUEE is a computer-based test (CBT) in which a candidate gets a randomly generated test from a pool of questions. The number of questions and time limit of the test sections are pre-determined. The computer displays one question at a time and will display the next question only once a candidate has taken action on it. The Conducting Authority announces the SGTUEE 2019 on the Official website. You can check the results from the Official website on 15th June 2019. Check for the result tab and click on it. Take the printout of the same for future references. 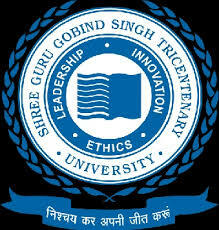 Shree Guru Gobind Singh Tricentenary University Entrance Exam (SGTUEE) entrance exam passed aspirants are faced on the next level of counselling process based on their merit list and cut off marks. The SGT University entrance exam passed candidates are who are achieve more marks they will be selected on the merit list, and the merit list wise attended the first date of counselling.